is a network of European researchers that began life in 1982 as a workshop on media policy, convened by Dr Karen Siune of Arhus University, within the framework of the European Consortium for Political Research (ECPR). Since then it has continued on its own initiative, changing in membership over time, but with the same working methods and purposes. It aims to collect and exchange information and to develop and apply frameworks that help to describe and analyse developments in media structure and policy in the European region. The core activity of the group has been to meet regularly in each others’ countries and to produce a sequence of books. D’Haenens, Leen/ Sousa, Helena/ Trappel, Josef (eds) (2018) Comparative Media Policy, Regulation and Governance in Europe Unpacking the Policy Cycle. European media experience a period of disruptive transformation. This textbook maps contemporary media policy and industry activities and assesses critically the implications or new digital technologies on the production, distribution and consumption of the media. Chapters address relevant topics of the current media policy debate, including policies of the European Union and the Council of Europe, governance and internet policy issues, media subsidies and the role of the media in contemporary democracies. Chapter 10: Media and Democracy: A Couple Walking Hand in Hand? 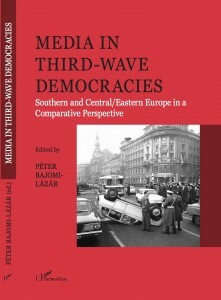 Péter Bjomi-Lázar (ed) (2017) Media in Third-Wave Democracies. Southern and Central/Eastern Europe in a Comparative Perspective. This volume offers comparative studies on media regulation, internet use, journalism cultures, as well as seven country case studies from the two regions, including on Greece, Portugal, Spain, Hungary, Poland, Slovakia and Slovenia. Most papers were presented at a conference organized by the Budapest Business School and the Euromedia Research Group in April 2016 in Budapest. Trappel, Josef / Steemers, Jeanette / Thomass, Barbara (eds.) (2015) European Media in Crisis: Values, Risks and Policies. London, New York: Routledge. States around the world are gradually setting up or reconfigurating existing media regulators. The nature and performance of theses bodies vary profoundly from country to country. 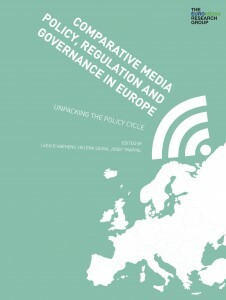 This book written by members of the Euromedia Research Group and together with other authors aims at gathering and analyzing information about media regulators in Western Europe. Media regulators are supposed to improve the overall quality of the media and they are expected to raise media standards. But do they? And, if so, how and why?